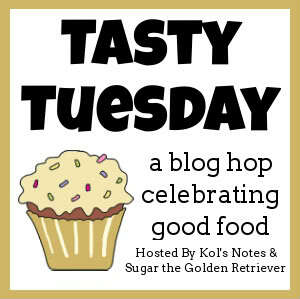 Today’s tasty Tuesday I’m introducing you to Caru’s Soft ‘n Tasty Baked Bites. 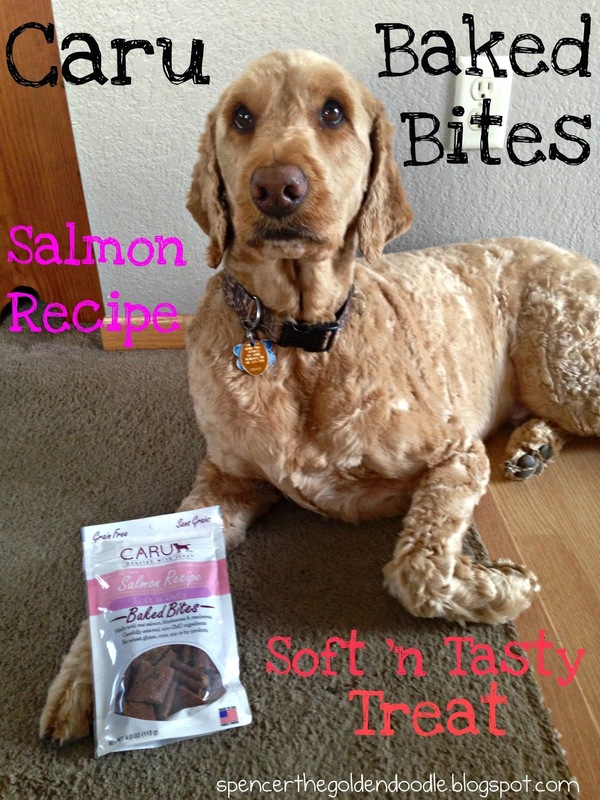 Caru’s Soft n’ Tasty Baked Bites come in three different flavors to choose from: Venison Recipe, Salmon Recipe, and Lamb Recipe. I was excited to sample their salmon recipe. 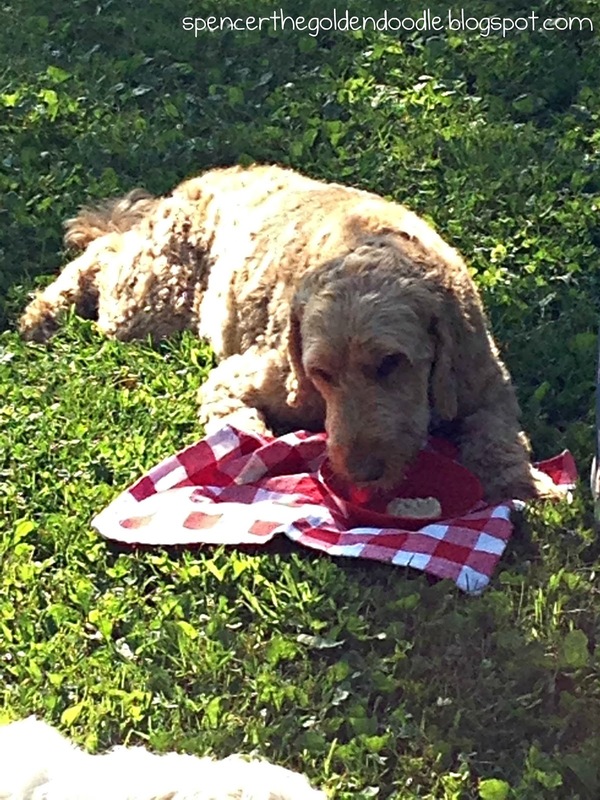 These tasty treats are just the right size for medium to big dogs. They are also nice and soft for you to break in half for smaller dogs. This treat comes in a 4 oz resealable bag and cost about $7.99. 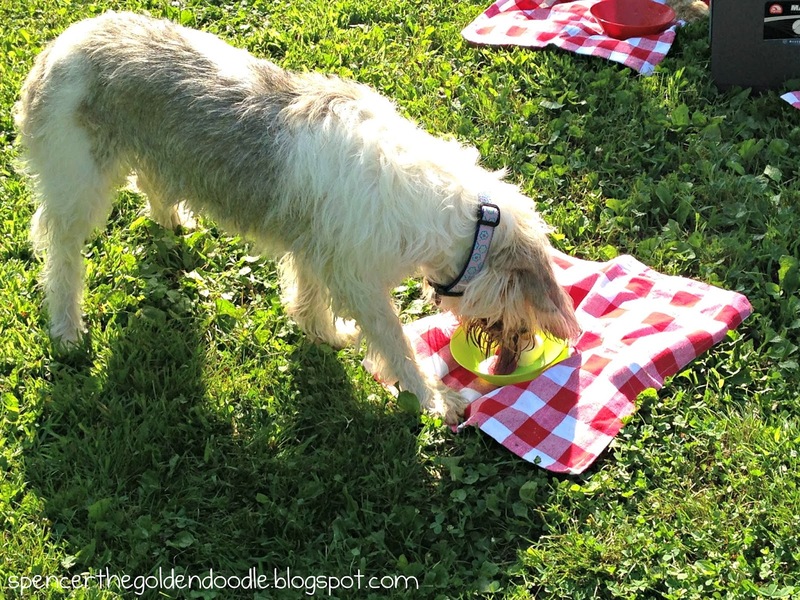 After taste testing this product, I give it 4 Paws Up! Not only were they full of flavor and chewy. 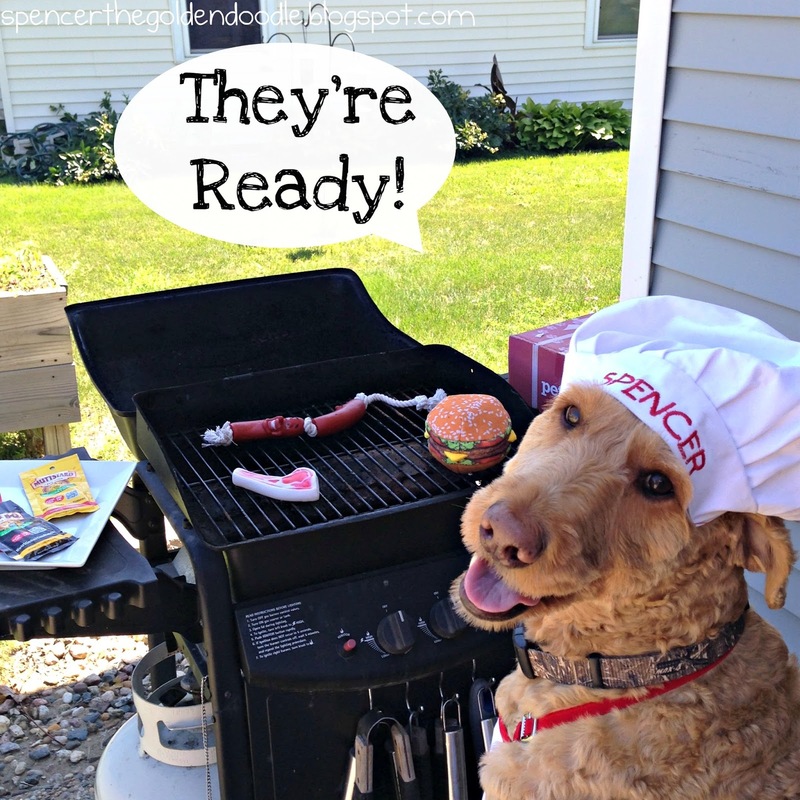 My humans love that they have few ingredients and are grain free. 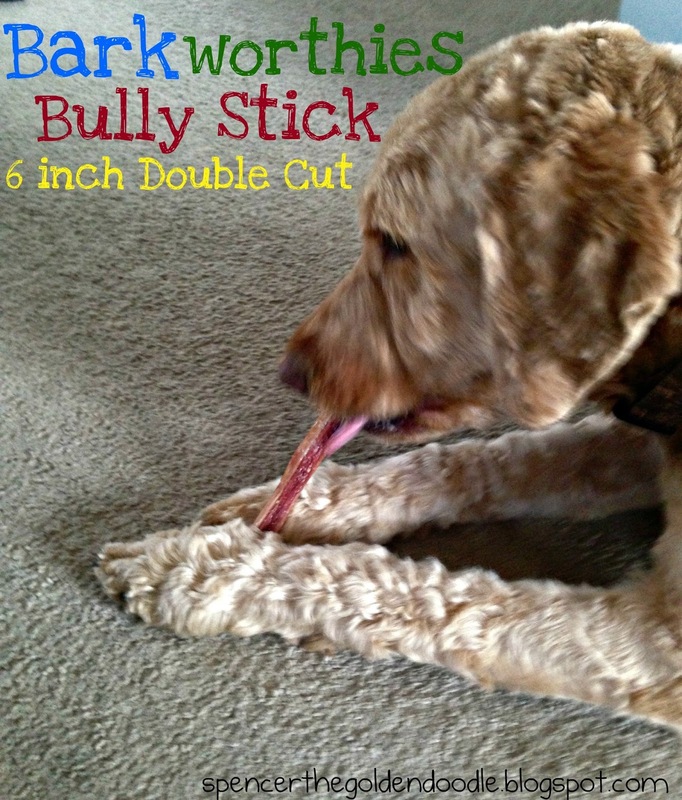 Today I’m sharing with you Barkworthies Bully Sticks. *Come in sizes for big dogs, little dogs, and dogs in between. *They come in different shapes and textures that promote good dental health. This treat made it hard for me to wait patiently for my mom to take pictures. As you can tell in the picture above, I was giving my mom the “puppy eyes” for her to hurry up. When it was finally time to sink my teeth into this treat I went to town. 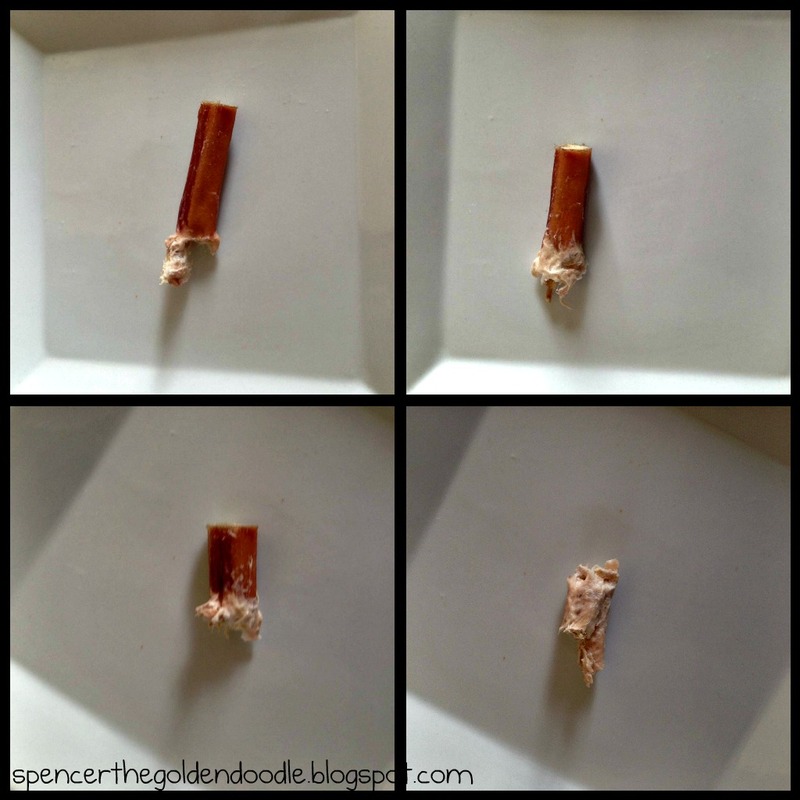 In the photos I wanted to show the different stages it took for me to eat this treat. I’m an aggressive chewer and I was able to consume this entire 6 inch treat in about 5 minutes. My mom got worried that I was going to chock on the this treat when it got small (last picture below) that she ended up throwing out the last little bit. 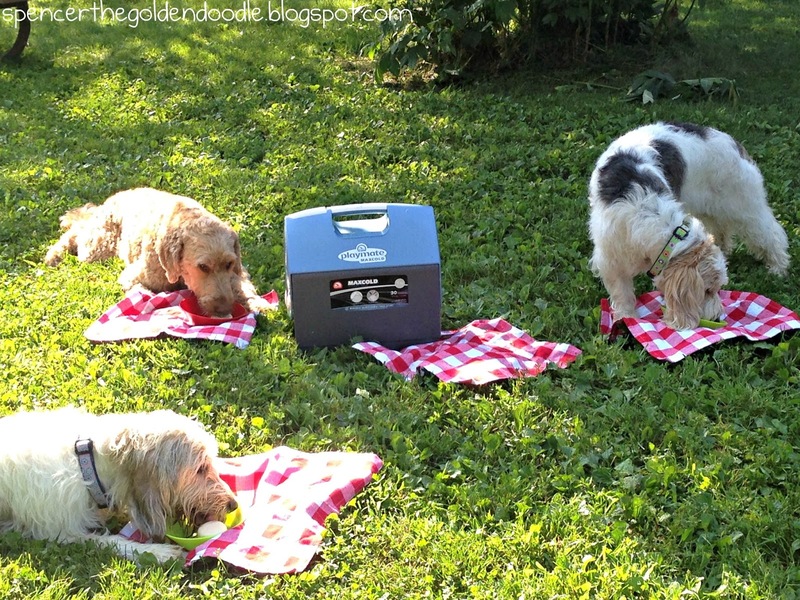 I would give this product 2 paws up. 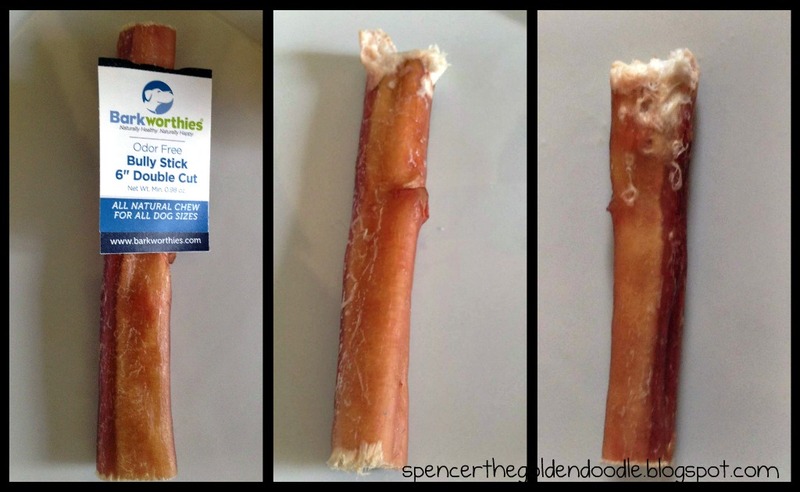 I loved that this Bully Stick is made in the U.S. with limited ingredients and promotes good dental health. However, there was a risk of chocking at the end of this treat. 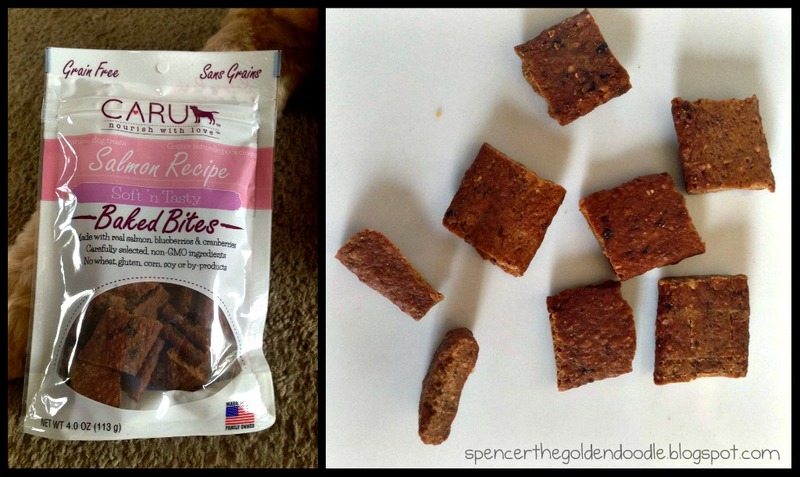 Today I’m introducing to you Zuke’s Mini Naturals dog treats. I LOVE this treat for a several reasons, let me share them with you. 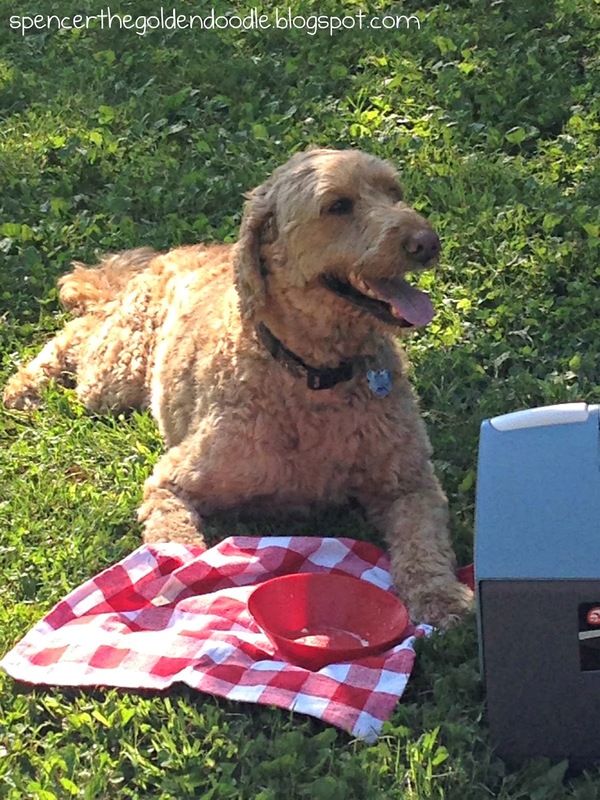 Zuke’s Mini Naturals come in 6 amazing flavors that will leave you dog wanting more. 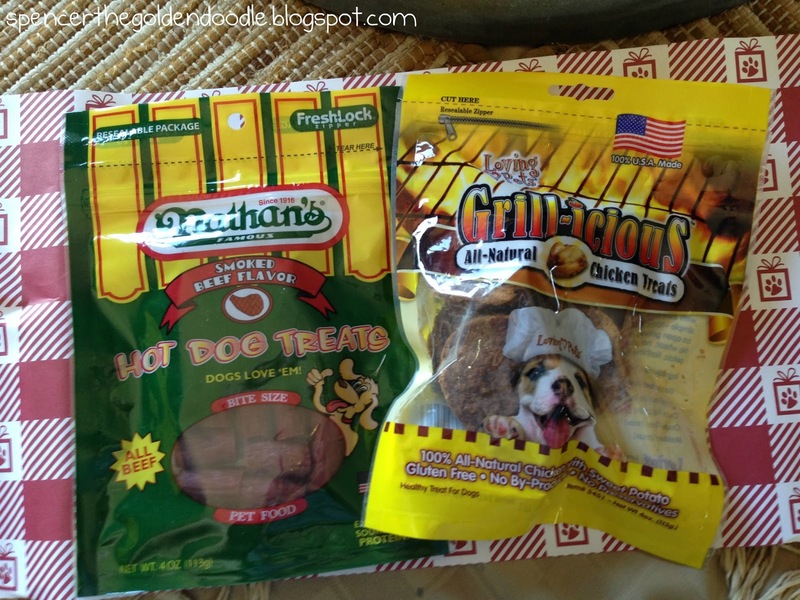 These treats are the perfect size for any dog breed. And are great for training you dog or rewarding them. 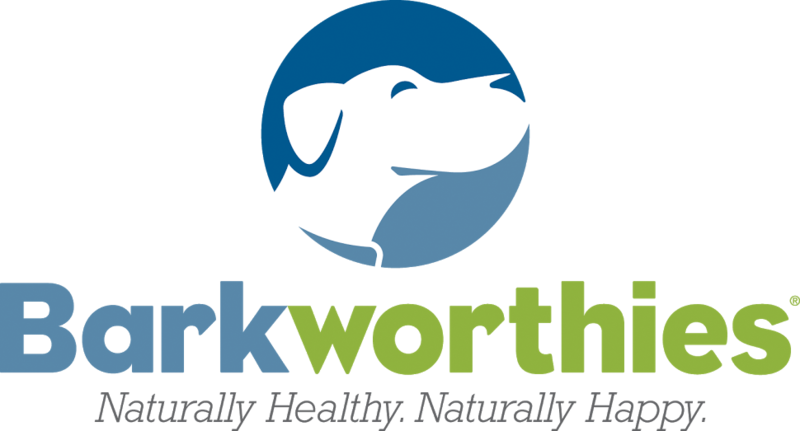 With only 3.5 carbs per treat you will not have to worry about your dogs waist line. 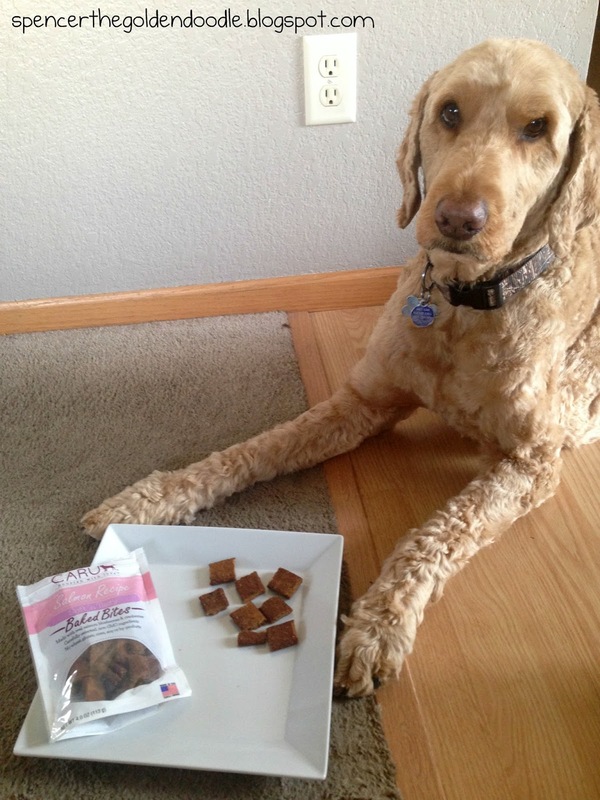 These treats fit perfectly in my treat dispensers. Not only is this treat a great size but they also are chewy. 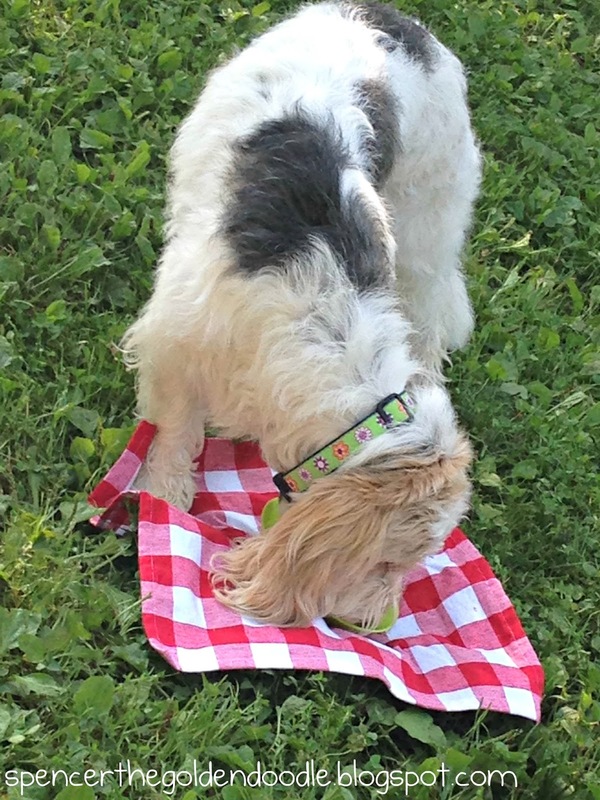 All week I’m going to demonstrate how my humans use Zuke’s Mini treats while we practice my commands. For more about this and other Zuke’s products visit them at these social media sites: Website, Facebook, Twitter, Pinterest, and Instagram. Now time for a great giveaway! Enter below for your chance to win these amazing treats! *Must be 18 years of ago or older living in the continental US. Winners will be notified per email and will have 48 hours to claim their prize. Failure to do so will result in forfeiture of their prize. 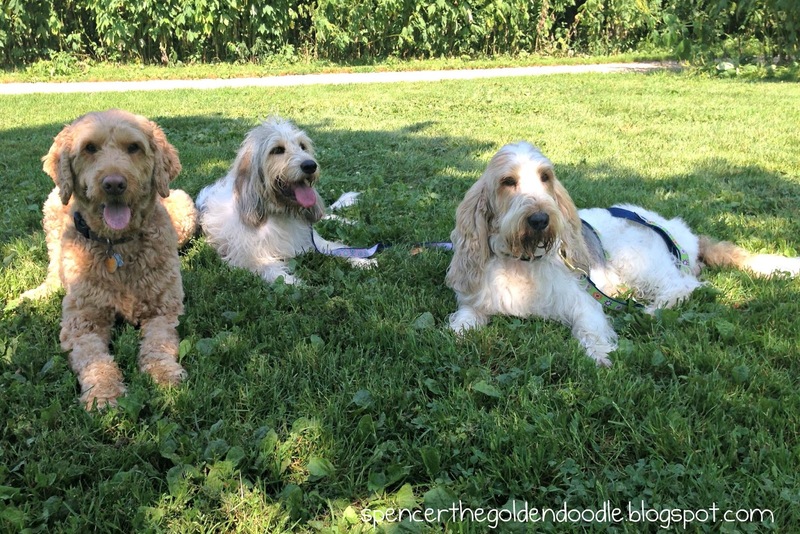 Zuke’s is responsible for sending out the harness, Spencer the Goldendoodle is only providing the winner’s information to the company. Happy Tuesday Everyone! 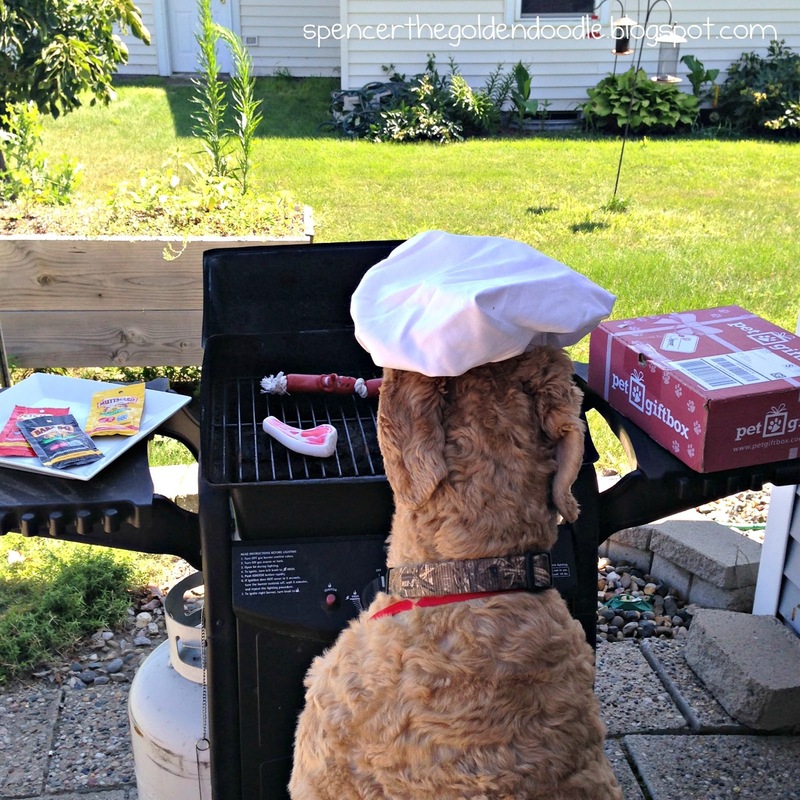 I’m pleased to introduce two delicious treats: Best Bully Sticks Beef Puffs and Himalayan Gold Large Chew. These Beef Puffs come in an one pound resealable bag. The moment my mom opened the bag my mouth started to water. These light treats were not only chewy they were crunchy as well. 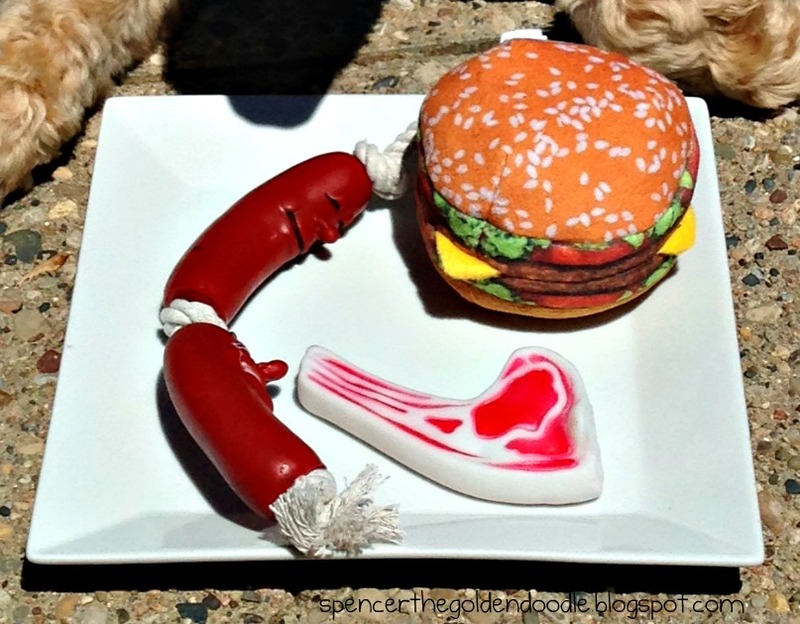 Made from all-natural cow lung this treat is great for small and big dogs alike. What I liked about them the most is my humans can either break them into smaller pieces for training or leave them whole for a delicious treat. The next treat I tried was Himalayan Gold Large Chew. What I loved about this chew is that there are only 4 ingredients: yak milk, cow milk, salt, and lime juice. This chew is great for my pals who have allergies. My chew was about an inch thick and about 6 inches long. My humans loved that it kept me entertained for hours. One thing my humans noticed that there were some small pieces that broke off that could be a possible choking hazard. 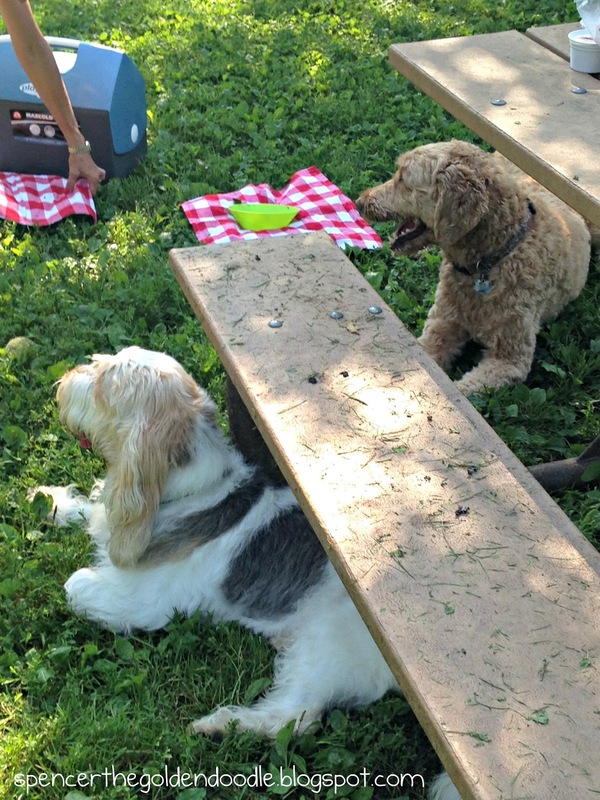 However, anytime giving your dog treats possess that risk, which is way supervision should always take place while your pet is enjoying their treats. 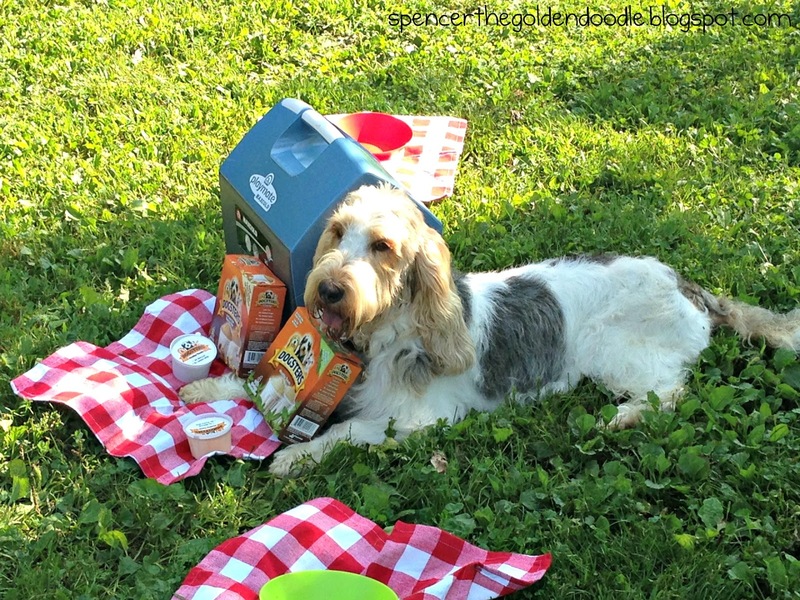 Overall, I would give both these treats 4 paws up and would share them with my pals! 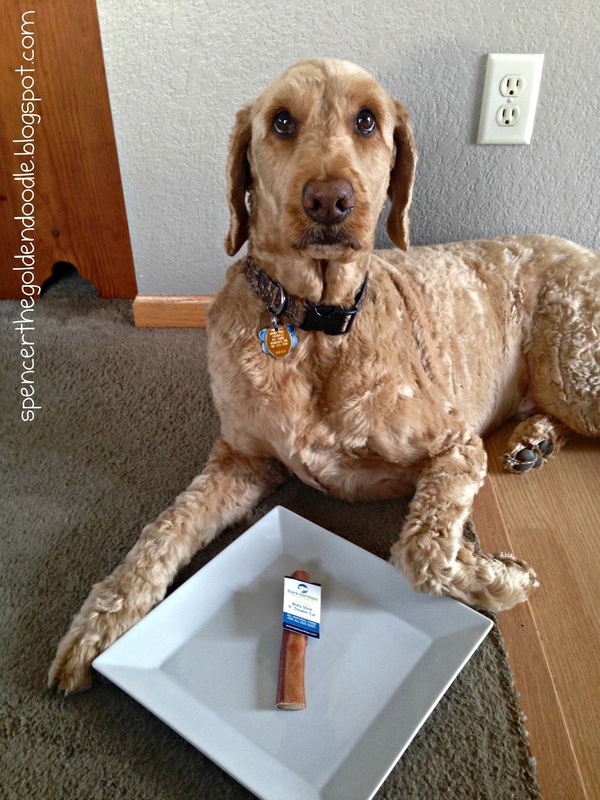 You can learn more about Best Bully Sticks on their Website and these social media sites: Facebook, Twitter, Pinterest, Google+, YouTube, and their Blog. Now time for the giveaway! If you are 18 years of age or older and a US resident, simply enter the rafflecopter below for your chance to win these treats. One winner will be selected by random. If you have a small dog we will substitute a small/medium Himalayan Gold Chew for them. 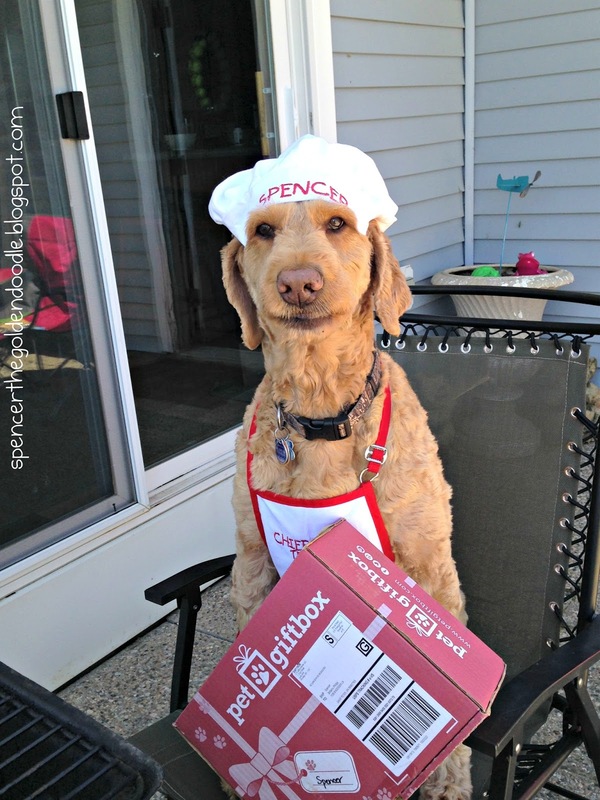 Sweet Pea Kitchens has a wonderful holiday line of treats that will leave your pup drooling for more. With names like Holiday Dinner, Potato Latkes, and Chunks of Coal how can they resist. So what is in these tasty treats? These treats come in 5 ounce bags and run for only $8.00. 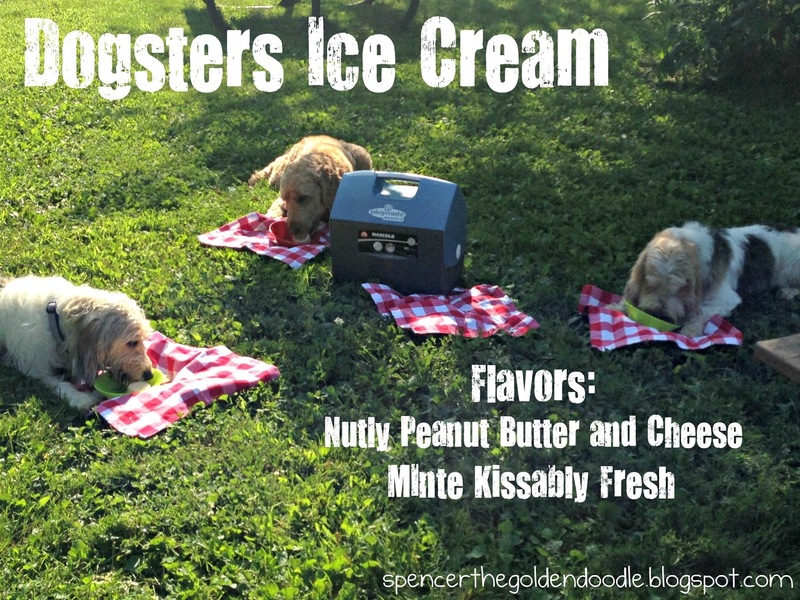 The best part of these treats, they are fresh and crunchy! Wouldn’t you love to give that mischievous dog in your life a clump of coal for Christmas. Or that sweet, caring K9 a special gift? Well, make your own Treat Jars out of mason jars and fill them with yummy treats. All I did was take three mason jars (one for each of my pals) and trace the lids onto different scrapbook paper and cut each of the circles out. Then, I filled each of the jars with special treats. Making sure I gave some Chunks of Coal to my pals Louie and Carlie for always getting me into mischief. Once full, I placed the lids with the cut out circles on securely. Finally, using twine I attached labels that I made to each of the jars. And there you have it, custom treat jars that are gorgeous to give to that special pup in your life. Sweet Pea Kitchens also has cat treats as well. You can learn more about Sweet Pea Kitchens by checking them out on their Website, Facebook, Twitter, Pinterest or Instagram page. Now is your chance to win these three treats from Sweet Pea Kitchens. If you are a US resident 18 years of ago or older Just enter the rafflecopter below! Contest is open for one week. Don’t forget to enter our current giveaway that ends this Saturday. 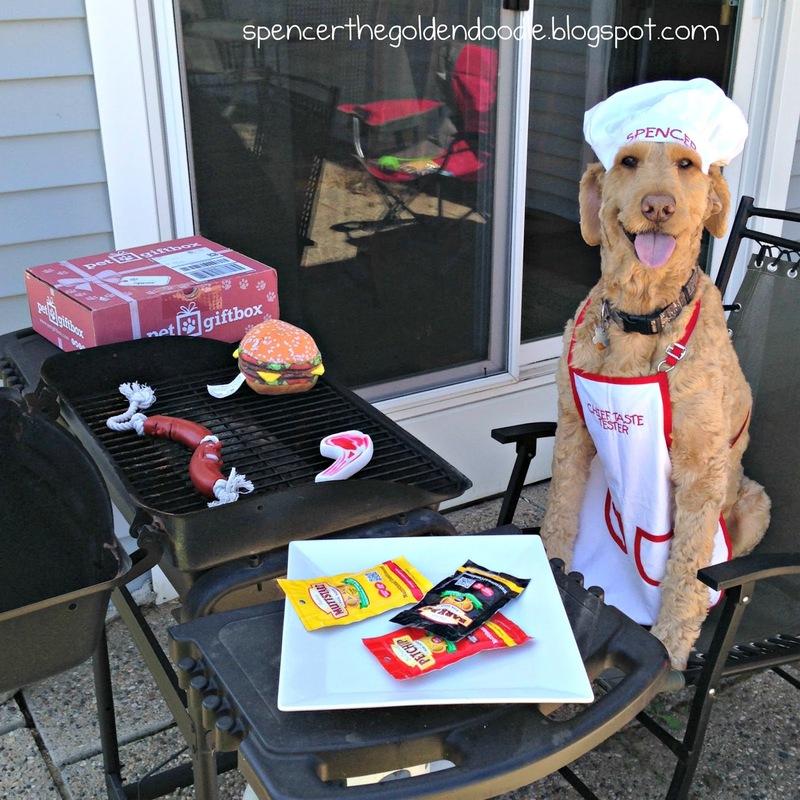 *Disclaimer: Spencer the Goldendoodle did not recieve any monetary compensation for this review. 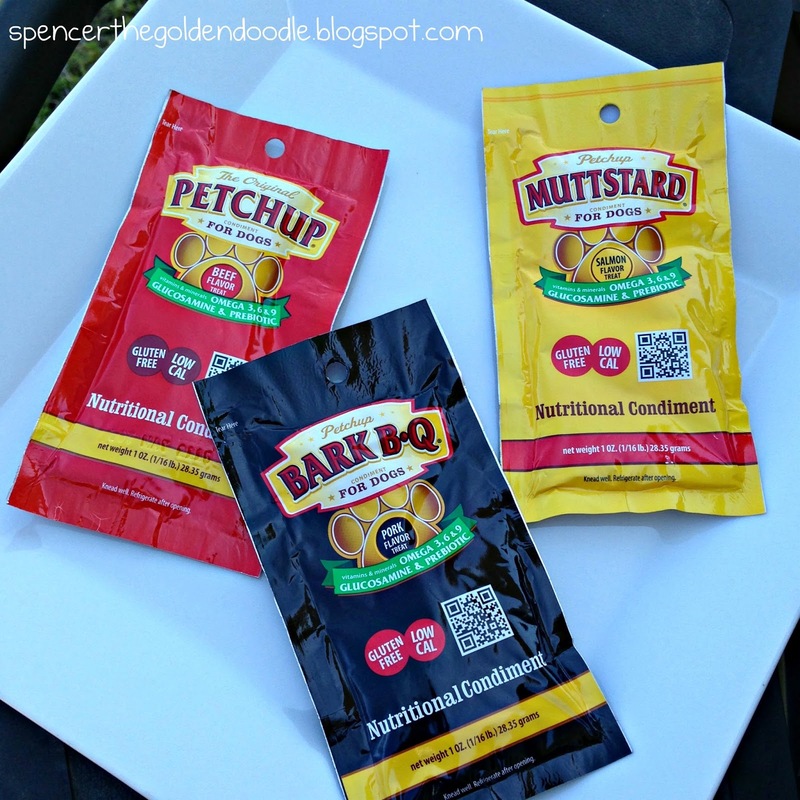 Spencer was given these three treats free for the purpose of this review. I’m in love with this new brand of dog treats called Sweet Pea Kitchens. They found out about my love for apples and sent me their “Oh My Apple Pie” dog treats to try. On their package it states “Taste the Love.” However, this treat was able to enabled all my senses. I could also see the love in the cute heart shaped design and not one of the treats was broken. I could hear the love when my human opened their resealable bag. I was able to smell the love of apple and cinnamon they used. And finally, I was able to feel the love they put into this treat with using all organic and gluten free ingredients: Organic Gluten Free Oat Flour, Organic Apples, Flaxseed, Vitamin C, and Cinnamon. Sweet Pea Kitchens has some many great treats to choose from for this holiday season including: Chunks of Coal, Holiday Dinner, and Potato Latkes. They also have cat treats for my furry pals!